Customers Need the Channel More than Ever! The 2019 Intel Partner Connect (IPC) conference has now wrapped up, and it’s always great to have so many Intel partners together in the same room. Last week, we got the chance to hear from partners about the issues and opportunities they are facing, and we got to share what we’re seeing on the horizon that could lead to growth for channel partners as businesses around the world cope with a velocity of change that’s accelerating and driven by digital transformation. In this disruptive business environment, partners have an important role to play in connecting businesses with the expertise, tools and technology they need to innovate and ultimately grow. It’s an opportunity for all of us, if we’re ready to seize it. We also used the conference to preview the new Intel Partner Alliance, which includes new B2B platforms, educational opportunities and digital touchpoints to help our partner ecosystem connect, innovate and grow. We will share more details about our program over the coming quarters. • Intel® Solutions Marketplace to help guide partners to solutions and technologies, and boost collaboration among partners. • Intel® Partner University to provide training and skills development to foster a new community of talent and expand partner skills or competencies to reduce time to market. I recently came across an interesting stat that underscores both the challenge faced by business, and the opportunity for channel partners. Less than 30% of an organizations’ technology vendors are currently active partners in their digital transformation initiatives. I believe that businesses are looking to the channel to help fill in gaps in skills and expertise and want to work more collaboratively with partners to address the challenges of digital transformation. How do we take advantage? The announcements at IPC and the programs being rolled out are designed to help our partners transform to be successful in this environment, such as training and support through Intel® Partner University to help reduce time to market for new product offerings and upskill internal teams. There is no shortage of experts and stats showing that our world is changing faster than ever and that those who fail to keep pace will find market share eroded by more nimble competitors. In this dynamic business environment, few companies can expect to have the internal resources needed to understand and deploy the emerging technologies that could become transformative and lead to a real competitive advantage. Businesses need help … and help from organizations who are less focused on selling a product or service but instead look deeper to understand the underlying business or industry challenges to make the right recommendations, even if those recommendations mean bringing in solutions from other companies. Looking for the right solutions to your customers challenges and making recommendations based on what’s best for them (not always the most lucrative for your bottom line) is just one trait of a becoming a trusted advisor. What will transform your relationships from a supplier of goods and services to a partner? • Active Listening; Have you ever been in a meeting where the party across the table keeps talking about or trying to sell you on something you don’t need or want (despite the fact they have an item you’re really interested in)? A partner asks you questions and takes the time to listen closely to your objectives and priorities. • Deep Understanding: Listening is only step one: Step two is understanding what your customer is saying (and to do this effectively, you can’t make assumptions). Ask more questions, confirm assumptions you are making to ensure you have a clear picture of the underlying issues or challenges. Take some time to make sure you also understand the competitive landscape and what disruptive forces could lie on the horizon. • On Hand Expertise: Technical skills are in short supply and our customers depend on us to help them bridge the gap. With a clear understanding of the goals, issues and business objectives, take the time to review all the options and leverage your internal technical experts to make the best recommendations for how to solve today’s issues in a way that could set the groundwork to advantage of new, emerging technologies they might not be considering … yet. • Trusted Advisor: Beyond addressing today’s concerns, an advisor looks ahead to ensure the solutions presented and implemented today, don’t limit customers from taking advantage of future opportunities. Don’t think that as partner, you’re not buying or selling goods. You are, and you will. The difference is how you get there and how your customer perceives your interactions. Partners take the time to get to know a business, provide advice and work collaboratively to move business objectives forward. There are definite benefits to this approach for both partners including competitive advantage, increasing market share and growth … and isn’t that what we all want? 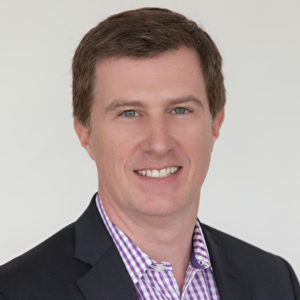 Jason Kimrey, General Manager, US Channel Scale and Partners, works with leading solution providers, distributors, systems integrators and software partners throughout the US to help businesses harness value from the new, disruptive technologies that are changing the corporate landscape.